Spacious lofts with great ceiling appleal. Love the large window and hallways. Kitchen could use some updating but overall a good experinace. Just moved in last week, and it's been fantastic. Super friendly staff, no noise from neighbors, walking distance from groceries and restaurants, and lovely, spacious apartment! Great experience thus far. Prime location with plenty of things to do, places to eat & people to see within walking distance. Great shuttles to venues also. Very, very nice faculty. They don't mind going out of there way to keep you happy. Maintenance isn't the quickest but they do aim to complete all issues. Then entry gate into the parking area is always getting stuck. We pay for secured parking but dont receive it half of the time because the gate is always stuck open for anybody to access. However, overall a great place to live. Friendly occupants and friendly staff. Great place to live. Other residents are very friendly. Dogs are welcome! The premises are kept clean. Easily accessible to downtown activities. Great Location. Needs improvement on the gates and security. Manager (Jean) is always available to help and answers any questions or concerns. We love Vangard, especially its location. Each loft has that lovely industrial feel that is in such high demand, for an affordable price. Check it out! So far, I’m loving the new environment. Jean has been nothing short of helpful and understanding. I’m excited for the future here as a resident. The apartments are no luxury apartments, but they are great for the price an location. The newest staff are fantastic and are constantly looking for new ways to improve the building. 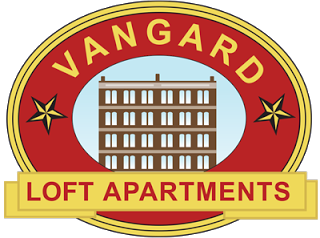 I have always wanted to live the city life and Vangard is the perfect spot to do so. After a busy day it nice to escape to your own space with friendly residents! Little getaway in the city! Takes a while for any repairs around the building or in home. The leasing staff is respectful and friendly and works with your wants and needs. Living and community areas are great. Management is easy to work with. Not too happy with how amenities have worked out, particularly since changes were made shortly after another lease was signed, rather than included on the new contract as previously done. Overall, good place to live but corporate-level management could be better about communicating to both local management and residents. Vangard has been great. I love our apartment. The industrial brick and exposed pipes match perfectly with the thick wood beamed ceilings. Noise level can get to be a little much though. Great place to live downtown and close to everything. Have had to deal with multiple management changes, but things are going smoothly now. Would recommend. Great view and really cool building. The floor space is a crazy too. Staff is really nice. Close to where I work down town. High ceilings are cool. Love living here. Everyone is friendly and the lofts are spacious and surprisingly quiet! I couldn’t ask for a better spot to live. And it’s close to so many awesome things!!! We love vangard. Great apartments, great location. I recommend it to anyone moving to STL. Definitely best bang for your buck in the area!!! Location is great , definitely if the you love the city life bescuse that is exactly what your getting. They lay out of the loft is perfect. not only that , but they are affordable as well ! I haven’t moved in yet but the leasing agent Jean is beyond amazing and is making my move in so easy and worth all the time and money. The amenities included is like no other and i know i will love my place. Overall, my experience with Vangard has been good. Most negative experiences are due to bad neighbors. The biggest complaint I have is that the walls offer little to no sound proofing. I can hear my neighbors as if they're in my apartment with me, and I'm assuming they can hear me too. The gym is pretty lacking too. But you get what you pay for. Tyler has been a great manager of the building, and improved many aspects that would have otherwise caused a much lower rating. Unfortunately he is leaving, and I hope whoever takes his place does as great a job as he did. Staff is friendly and helpful. Communications have improved somewhat, but still room to do better. Appreciate the new paint job downstairs. Good place to live.